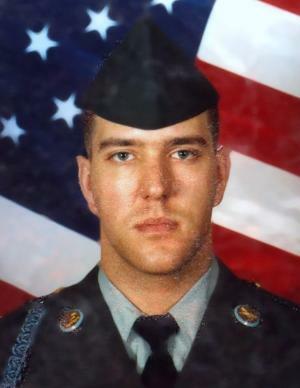 ​Hometown: West Milford, New Jersey, U.S.
Died: August 30, 2007 in Operation Iraqi Freedom. Unit: Army, 1st Battalion, 28th Infantry Regiment, 4th Infantry Brigade Combat Team, 1st Infantry Division, Fort Riley, Kan.
Army Staff Sgt. 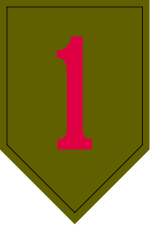 Butkus was assigned to the 1st Battalion, 28th Infantry Regiment, 4th Infantry Brigade Combat Team, 1st Infantry Division, Fort Riley, Kansas. Butkus died of wounds suffered when his humvee was hit by a rocket-propelled grenade. Jason grew up in West Milford, New Jersey and graduated from West Milford High School in 1991 where he was on the track and wrestling teams. In 1995, he decided to join the Army and served in Alaska and South Korea before being sent to Iraq in February. He was a top marksman and had accumulated numerous parachute jumps. Twice he was commended for his leadership as a non-commissioned officer. Jason's Army buddies remember a man who loved the Army and was a hard and outspoken man. He made life miserable for his men, but they loved him for it – a patriot with a strong sense of right and wrong. His family remembers how much he loved history and travel. He was lively, funny, chivalrous, well read, adventurous and just an all around great guy. He was committed to whatever he chose to do. As a child, he was afraid of heights and trembled at the thought of climbing a lighthouse – he deliberately conquered his fear by becoming a paratrooper. ​The Star Ledger -- In a distinguished 12-year military career, Jason M. Butkus had been stationed across the United States and the world, serving as far away as Alaska and Korea. It was a fitting job, his family said, for a man who loved travel and soldiering. In January, that job took the Passaic County native to Iraq, where he served with the 1st Infantry Division. Staff Sgt. 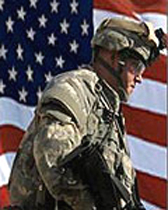 Butkus, 34, died there Thursday after a rocket-propelled grenade struck his Humvee in Baghdad, the Army said. The divorced father of a 9-year-old boy, Butkus was the 82nd service member with ties to New Jersey killed in Iraq. "Our family is saddened and our hearts are heavy with grief," family members said in a statement released through Henry Kearney, an Army spokesman at Fort Monmouth. 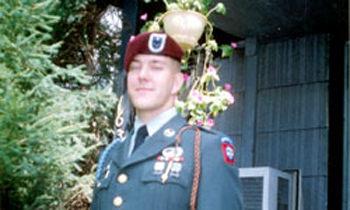 "Jason loved serving his country, and he also loved history and travel. He was a wonderful and caring son and a loving father to his own son, Connor." Butkus grew up in West Milford and graduated from West Milford High School, where he was on the track and wrestling teams. His mother, Cheryl Bohn, and stepfather, Edward Bohn, have since moved to Old Bridge. Tears in their eyes, they declined to comment beyond their statement last night. Two younger sisters also remain in New Jersey. The soldier's former wife and 9-year-old son live in Alaska. Kearney said he knew few details of the attack on Butkus' Humvee. Butkus was the only soldier killed in the incident, the spokesman said. Butkus joined the Army in 1995 and quickly began earning what would later amount to a chest full of medals and ribbons for his achievements. He was a top marksman and had accumulated numerous parachute jumps. Twice he was commended for his leadership as a noncommissioned officer. Among his many assignments over the years, Butkus served as an instructor at the U.S. Army Training Center at Fort Jackson, S.C., and with the 82nd Airborne Division at Fort Bragg, N.C. But it was as an infantryman that he made his mark. In a release issued by the 1st Infantry Division in March of last year, officials noted that Butkus and the squad he commanded dominated a competition that involved forced marches and obstacle courses. In October of 2006, he joined the outfit with which he would later head off to war, the 1st Battalion, 28th Infantry Regiment, 4th Brigade Combat Team. In their statement, family members said Butkus enjoyed and took pride in his job. "We were so lucky to have him for nearly 35 years," the family said. "He died doing what he loved, serving in uniform as an NCO. Our entire family is extremely proud of his service. Jason will always be a hero to us, and he will be deeply missed by his family and by his many friends." In addition to his mother and stepfather, Butkus is survived by his two sisters, Tonya Butkus, 32, of West Milford and Vanessa Butkus, 28, of Bloomingdale; his father, Michael Butkus of Houston; his former wife, Amanda Butkus of Fairbanks, Alaska, and his son, Connor, also of Fairbanks.